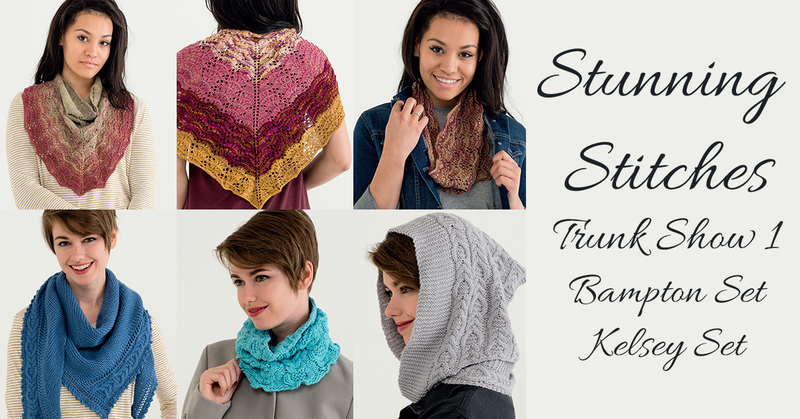 Now that Stunning Stitches has been out for a couple of months, it's time to pack up some of the pieces and send them out to yarn shops all over the country. Let your LYS know that you'd like to see the Stunning Stitches trunk show at the shop, and have them email me at jenlucasdesigns[AT]gmail[DOT]com to get on the list. I have two trunk shows for the book. The first one features the Bampton Set & the Kelsey Set. 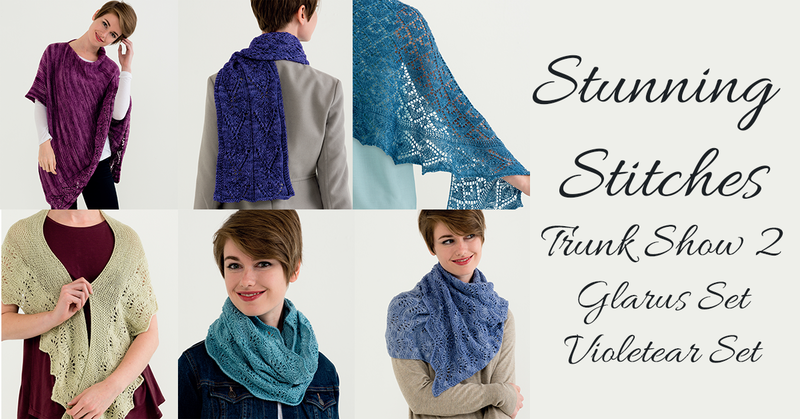 The second trunk show features the Glarus Set (which includes the shawl on the cover of the book) and the Violetear Set. Disclaimer: This blog post contains Amazon affiliate links.